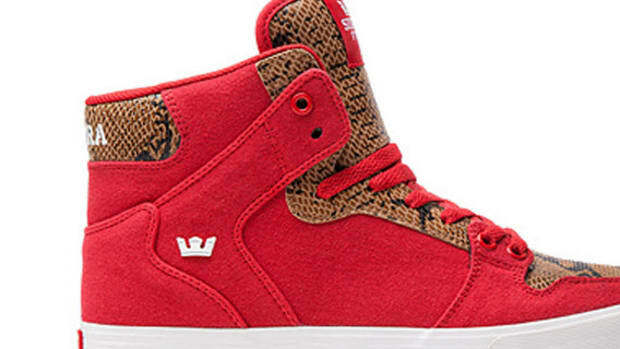 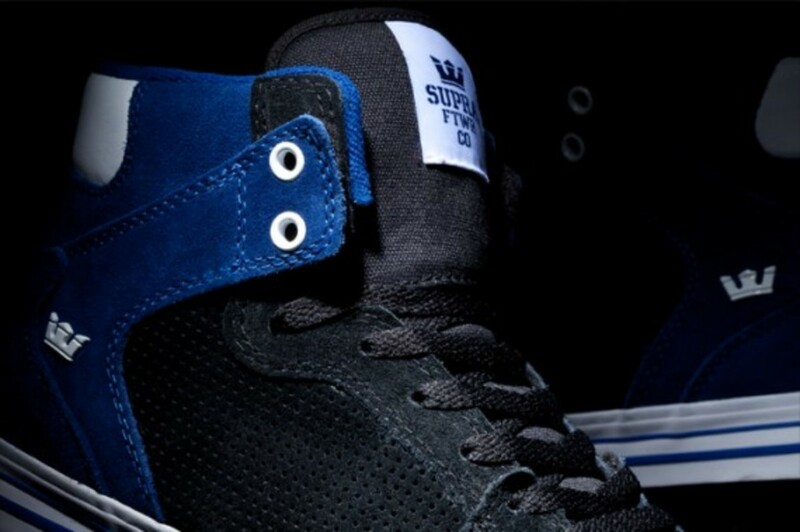 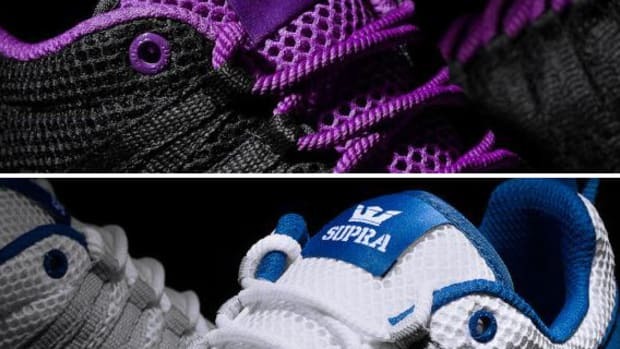 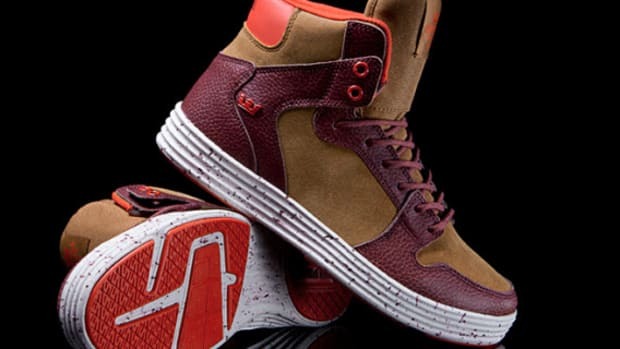 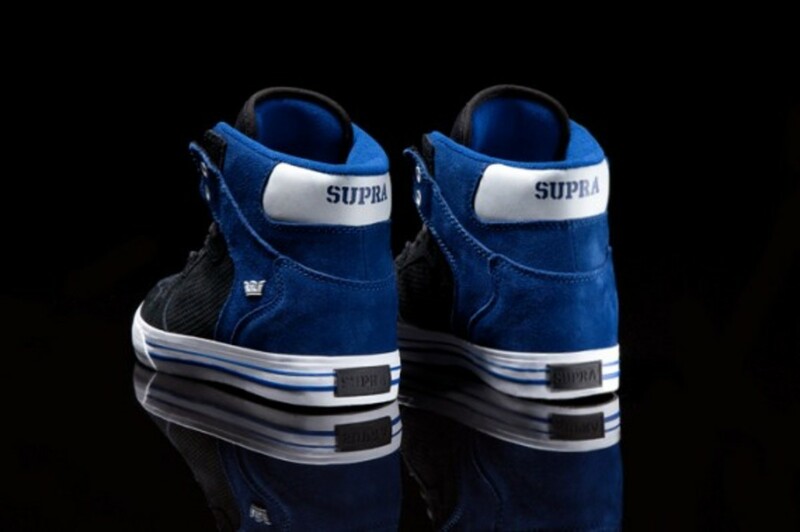 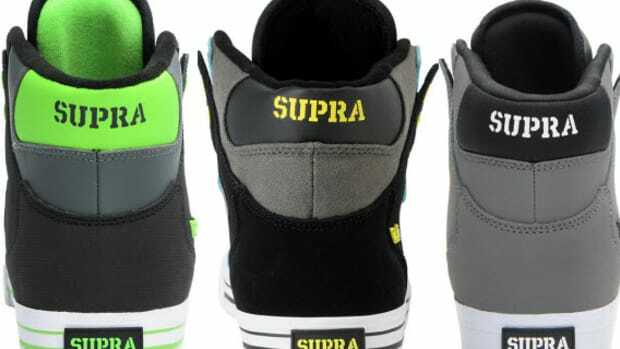 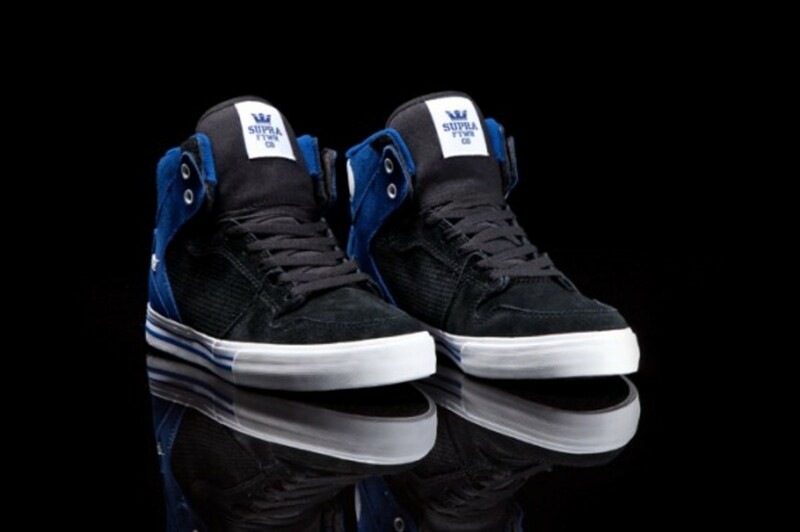 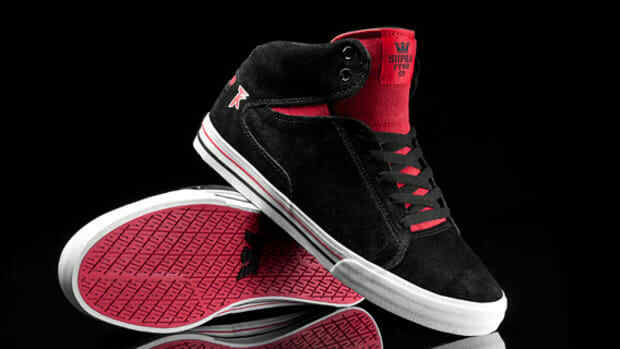 Supra takes summer fresh to heart yet again with a new line-up of Vaiders for Summer 2012. 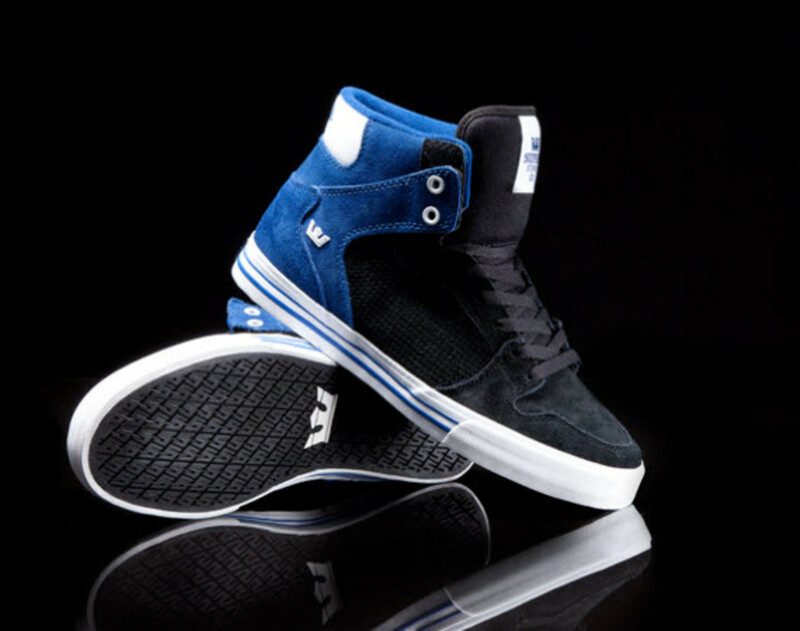 Featuring three different looks, the line-up is led by a navy blue and black suede option fitted with a black canvas tongue, padded blue mesh collar lining, and a white midsole wrapped with blue pinstripes. 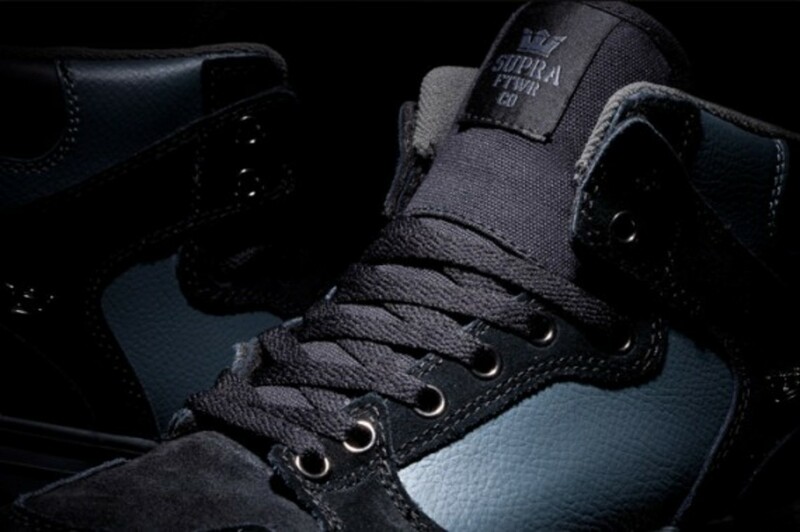 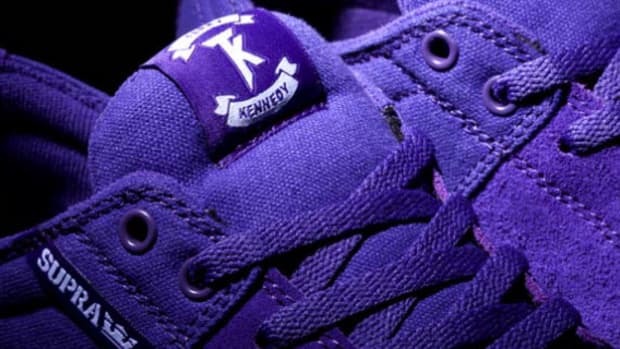 The second release features a predominately black suede upper with tumbled grey leather paneling on the midfoot and around the collar, which match the shoes&apos;s mesh liner and the rubber foxing. 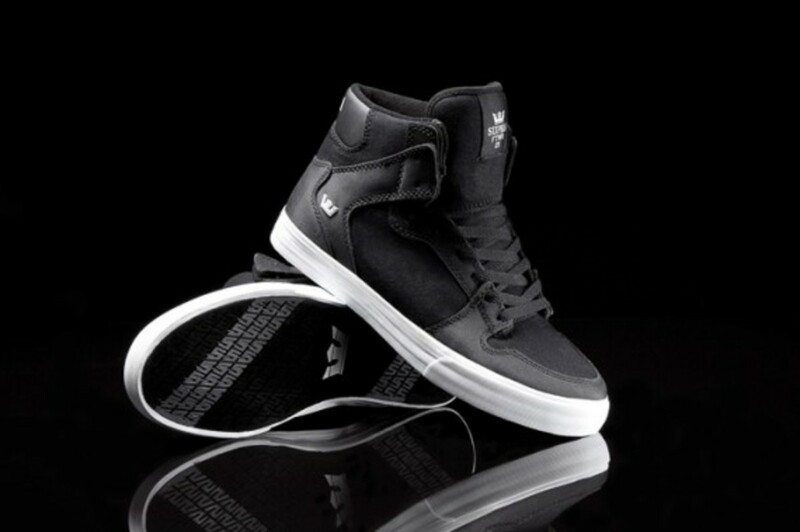 Rounding out the summertime trio is an all-black TUF canvas version of the hi-top, paired with mesh around the collar and midfoot panel and a black vulcanized sole with white foxing. 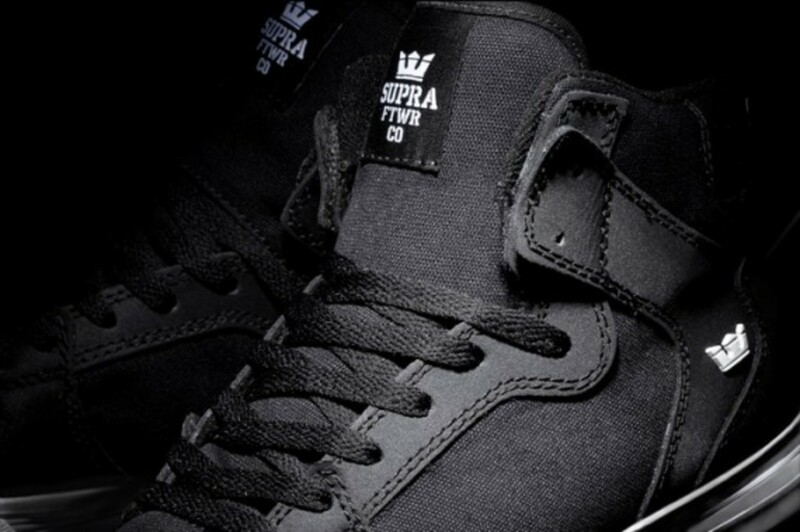 Each of these models can be picked-up now at Supra retailers worldwide or at their online shop.